CarGurus has 36,536 nationwide Colorado listings starting at $1,799. The Chevy Colorado does not receive any significant changes for 2008. Now in its fifth year of production, this light-duty truck got a small power increase in 2007. The Colorado has earned some praise for both price and flexibility, with 20 trims to choose from and a starting price just over $15,000. Due to its size and weight, the Colorado holds the road quite well for a pickup, and despite its light-duty designation, it is a capable performer off-road as well. The Colorado unfortunately falls short of much of the competition when it comes to engine power and towing capacity. Many drivers have also noted examples of poor build quality within the cabin, most directed toward materials and fit and finish. The Colorado is highly configurable. Buyers may choose from 2WD or 4WD, three cab layouts, four trim levels, and two bed lengths. Beds can be five or six feet, while cab options include regular, extended, and crew. The entry-level Work Truck trim line includes the bare essentials: an AM/FM radio and air conditioning. A step up to the LS line makes many additional options available and also offers some appearance and comfort enhancements. The top-line LT is further segmented into LT1 and LT2, which allows buyers to add upscale items like a sunroof, a CD changer, and satellite radio. Safety is perhaps the Colorado's strongest selling point, with five-out-of-five-star crash test scores and the OnStar emergency system included as standard. Every Colorado trim (excluding 4WD Crew Cab versions) comes standard with a modest 2.9-liter four-cylinder engine, which generates 185 horsepower and 190 pound-feet of torque. A five-speed manual transmission is paired with this engine, while a four-speed automatic is optional. On every Colorado, buyers have the option of upgrading to a 3.7-liter inline five, which makes 242 horsepower and 242 pound-feet of torque. Colorado fuel economy ranges from 18/24 mpg on the four-cylinder regular cabs to 15/20 mpg on the 4WD crew cabs. Towing capacity is estimated at 4,000 pounds. 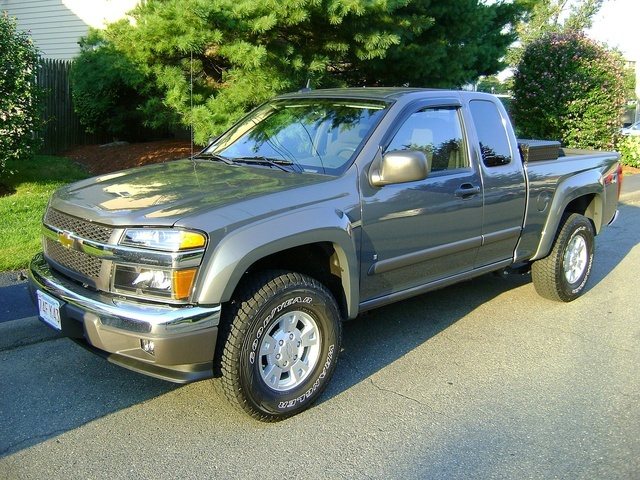 What's your take on the 2008 Chevrolet Colorado? 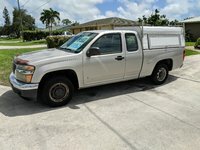 Have you driven a 2008 Chevrolet Colorado? 3.7L 5 Cylinder Engine 150k Miles Burns Oil At Times. What are the solutions for engine burning oil at times? What Is The Largest Size Tire/chrome Wheels I Can Mount On My Colorado? I want to mount larger tires on my truck as long as it won't require too much, if any, customizing. It presently has 225/15s. What is the issue mean when the dashboard indicator light shows a car with a padlock on it mean?